Rachael welcomes American freelance journalist, Alison Weir to Shadow Citizen. Ms. Weir traveled independently throughout the West Bank and Gaza Strip in February and March of 2001. Ms. Weir found a situation largely the reverse of what was being reported by the American media. 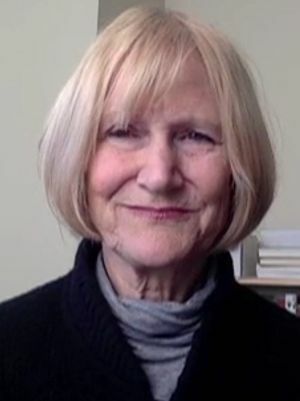 Upon further examination of this issue – she read dozens of books on the topic – she found that the U.S. press portrayal was significantly at odds with information being reported by media throughout the rest of the world. Disturbed that American citizens were being misinformed and uninformed on one of the most significant issues affecting them today, and discovering the problem to be systemic, she founded an organization to be directed by Americans without personal or family ties to the region who would research and actively disseminate accurate information to the American public. Since that time, If Americans Knew has begun producing informational materials, assisted in organizing public forums, produced media studies, and provided speakers and written materials to hundreds of venues across the United States, among them Harvard Law School, Stanford, Columbia, The Fletcher School of Law and Diplomacy, The University of California at Berkeley, Northwestern University, The Center for Policy Analysis on Palestine, The National Press Club, The Naval Postgraduate School, and numerous other university campuses, churches, libraries, and civic organizations in every region of the United States. Order Against Our Better Judgment by Alison Weir on Amazon.com (Paperback: $9.93, Kindle: $6.95).